This entire series is based on the book "Gay American History" by Johnathan Katz. While the last chapter of this installment dealt with a medical and legislative basis for oppressing homosexuals in general, this installment will deal specifically with the lesbian experience in America. While an integral part of gay history in a general sense, the story of women's struggles in this area are eclipsed by the story of women as suffragettes in US history. While gay men were beginning to start struggling in the light of day, gay women suffered more in darkness, and in silence. Women were struggling just to define themselves by their own virtues, rather than be defined by men. In short, while gay men were struggling for the right to be gay men, Women were struggling just to be women, let alone gay women. That fight not only fell by the wayside to make way for the larger issue at hand, some seem to have had trouble believing it even existed at all. That's likely due to the extent to which the subject of lesbianism was avoided in polite society. British MP Henry Labouchere's amendment to England's Criminal Law Amendment Act of 1885, neglected to include lesbianism in the language of its anti-gay decrees, treating it as a complete non-issue. What one often did, was to simply 'pass' as a man if possible. They would dress as men, had sexual and emotional relations with other women, and lived their lives in every way as a male would. In 'passing' as men, they often not only had wives, but jobs that they likely would not have been able to obtain as women, including enlistment in the military, and even serving active duty in combat. In doing so, they can be said to have killed two birds with one stone, fighting for equality both for women, and lesbians at the same time, though in a redacted state of being. 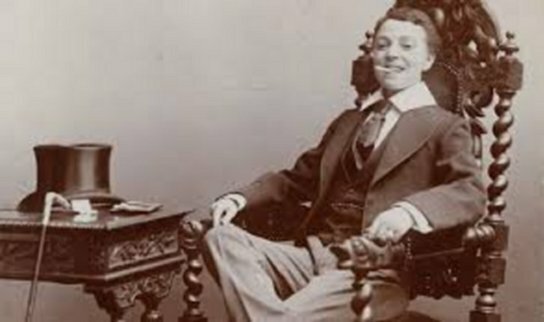 While men certainly dressed as women also, it was almost always as a form of entertainment, not survival, though history hands us down several examples of female entertainers who presented themselves publicly as men, including Vesta Tilley, in the role of 'Burlington Bertie'. There are historically many women who simply lived their lives as men because that was the only acceptable scenario where they could still live a fulfilling life. Some lived their entire lives that way, only being discovered upon their death. Others were found out, in various scandals. As sad as this is, it stands as a testament to humanity's inherent ability to adapt and adopt when forced to. However, the bad aspects far outweigh the good, when one considers that this phenomenon of 'passing' as men is documented to have gone on for centuries. And while it may be appealing to chalk it up to 'life's diversity finding a way', considering the stresses this situation brought for many, coupled with the unimaginable stresses of being found out, it's nothing short of a travesty that it was perpetuated for so long. But like all manifestations of homosexuality, eventually, every person found to be 'suffering' from the malady was potentially subject to criminal indictment, under the AMA's classification of homosexuals as mentally ill, and therefore detrimental to society at large until 'cured'. This was the case until the classification was changed in the early 70's. In like manner to the relegated place of lesbians within the suffragette movement during the last century and before, the women's liberation movement took the forefront in more modern times, overshadowing lesbian issues in many ways. 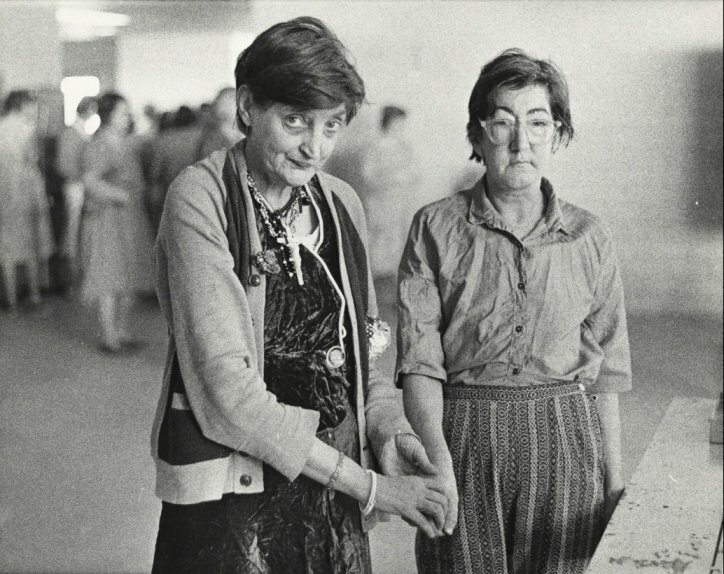 However, the result in modern times was that lesbians were seen as part of that movement eventually, where they had been invisible previously. Every step forward that women make, lesbians seem to be relegated a few steps back in women's march for freedom and equality, in the same way that gay men's rights have existed in the shadow of civil rights. But still, all gains for women are also gains for lesbian women potentially, just as all gains in civil rights are potential gains for all homosexuals, both male and female. It was simply a matter of time, until the issue found itself at the forefront, in the era of gay liberation. But like so many other aspects of gay history, it was sometimes a struggle to be a lesbian within the larger subculture of gay people in the US, particularly at its inception. Even when groups like ActUp were getting started, and slogans like "Silence Equals Death" were starting to become widely used, the emphasis always seemed to be on gay men, and the struggle for lesbian issues often fell by the wayside. Now sexual/gender diversity is much more focused on inclusion; on its own variety, with its symbol being the rainbow, representing the spectrum of what were once considered to be binary systems. While there has been some pushback on this from multiple sides, we must remember that these changes have been going on for decades, and each one hammers another detail into the shape which reflects what we are as human beings, and what we are is 'unified in our diversity'. It would be wonderful if everyone remembered that, and never forgot it. In the next and final installment of this series, we'll retreat from the dark, sad waters of oppression, to enjoy a few rare, amazing, and wonderful moments of love, courage, commitment, victory, and joy from the pages of gay American history. Please join us for this celebration of not just survival, but accomplished satisfaction.